The species is widely distributed in Britain but with only a few scattered records in the west and north. It is widespread in north-western and central Europe, but has not been recorded from Ireland. 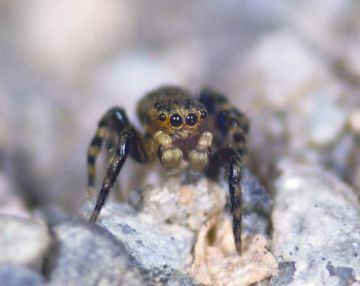 This little spider is found in warm, open, sunny habitats with bare surfaces, such as short turf on downs, sandy or stony banks, and quarries or old railway embankments. Adults of both sexes are found mainly in May, June and July. Local and uncommon, but the spider is more frequent in southern counties.